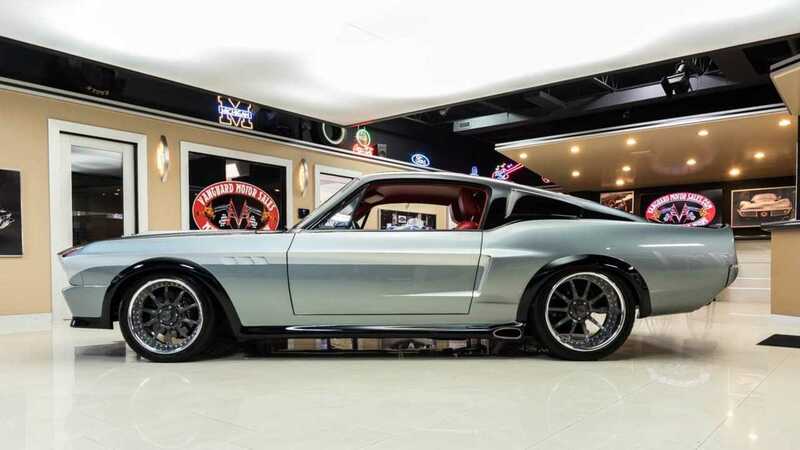 With 600-horsepower from a 428 cubic-inch V8 bolted to a Tremec T56 six-speed manual transmission, this 1967 Ford Mustang Fastback Restomod is not only a drool inducer, but it is also one hell of a tire melter as well. 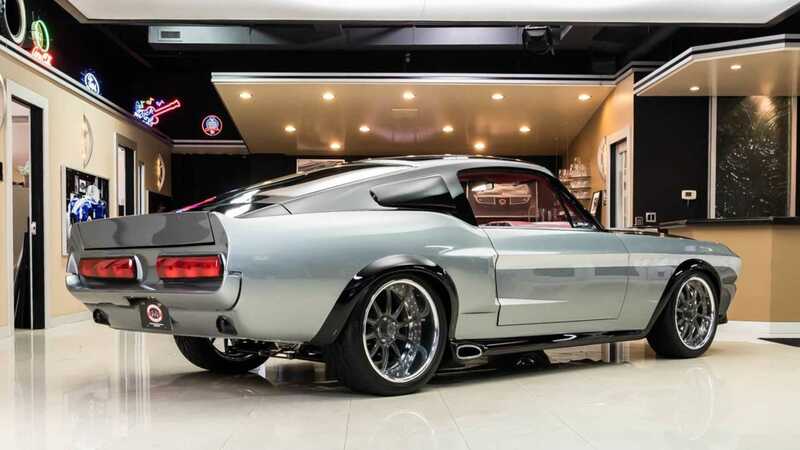 When Ford introduced the Fastback variant of the Mustang in September 1964 as a '65 model, it became one of the most iconic body styles in automotive history. 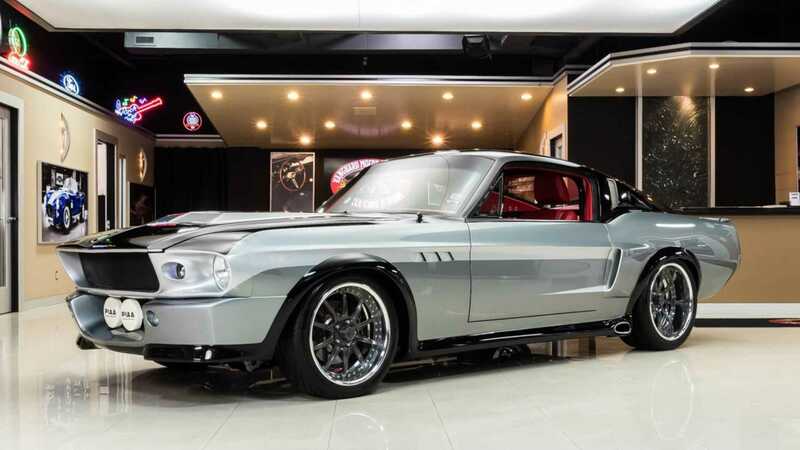 The Mustang Fastback was also the foundation for the two most iconic hero cars on the big screen, Steve McQueen's Bullitt, and Nicolas Cage's Eleanor is the 2000 remake of Gone In Sixty Seconds. 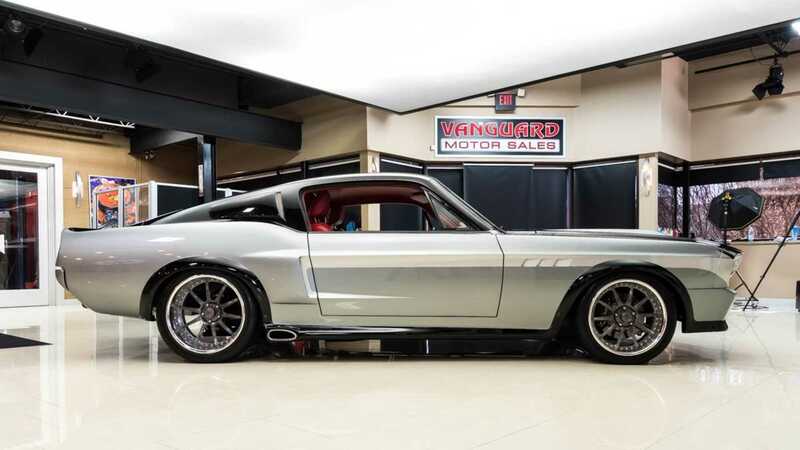 This particular 1967 Ford Mustang Fastback Restomod currently for sale at Vanguard Motor Sales in Plymouth, Michigan is a subject of a no expense spared, full rotisserie restomod build which was recently awarded as a finalist for Goodguys 2018 Muscle Machine of the Year Award. 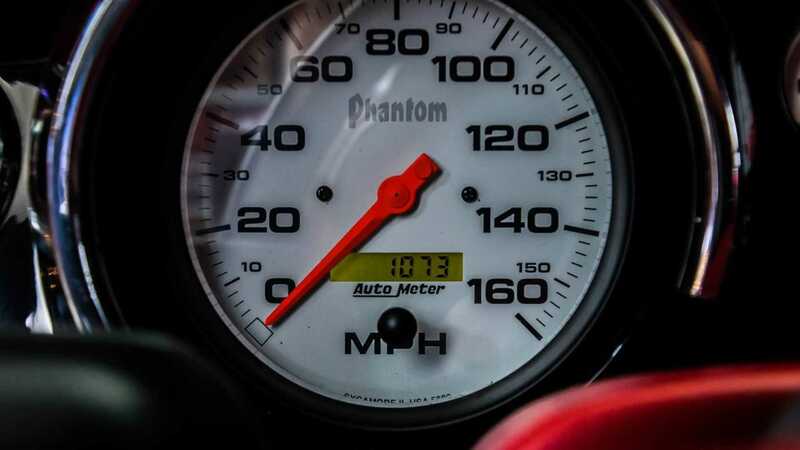 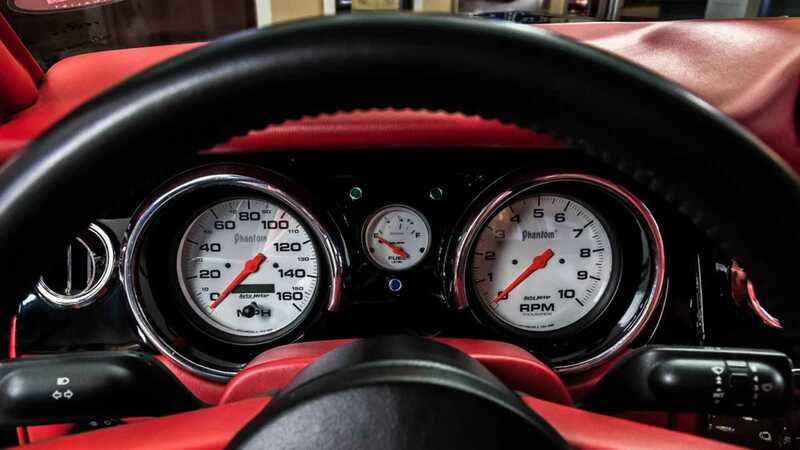 This modified 'Stang is powered by a Keith Craft 428 cubic-inch side oiler FE V8 equipped with Edelbrock RPM Performer aluminum heads, Borla 8 stack fuel injection system, and a Fast EFI which results in power output of 600-horsepower. 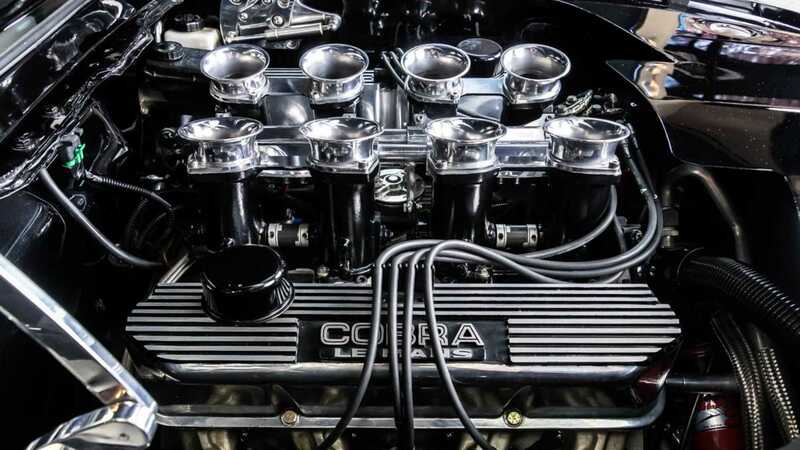 The engine sends power to the rear wheels via a Tremec T56 six-speed manual transmission. 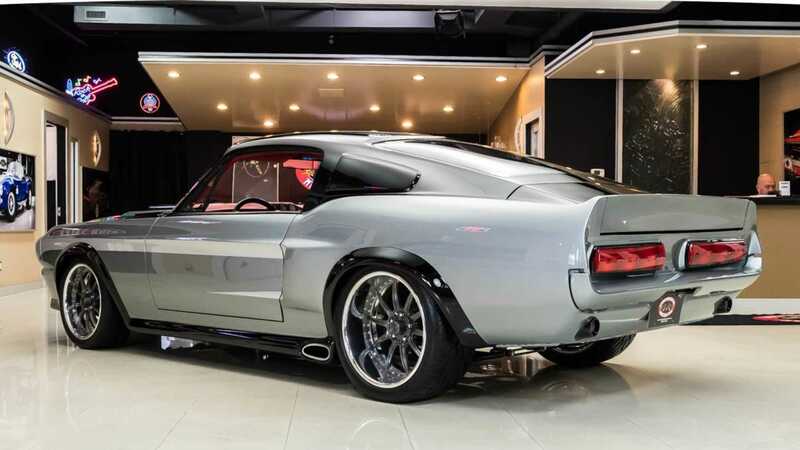 This sleek Fastback sits on a custom Schwartz tubular chassis with a Heidts independent rear suspension setup and features Ridetech adjustable suspension, steering rack, Outlaw front disc brakes, and Wilwood inboard rear disc brakes. 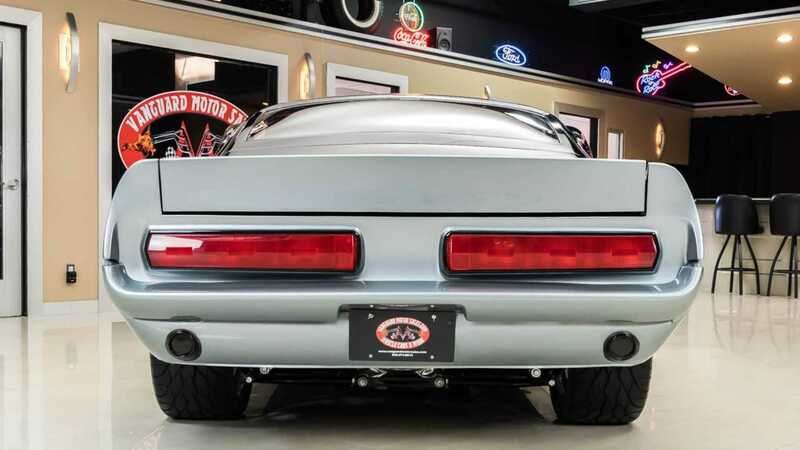 Wheels are a set of 18-inch Bon Speed wheels up front and 19-inch Bon Speed wheels at the rear made by Billet Specialities. 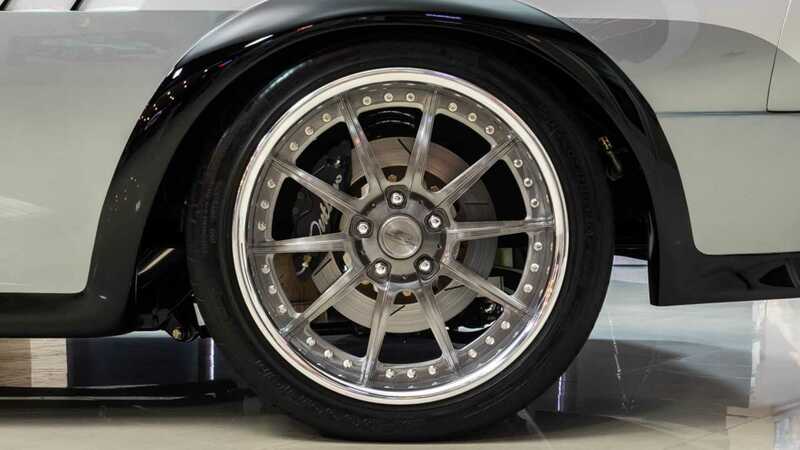 The front rims are wrapped with BFG G Force tires measuring 235/40ZR18 while the rear rims are wrapped with BFG G Force tires measuring 285/35ZR19. 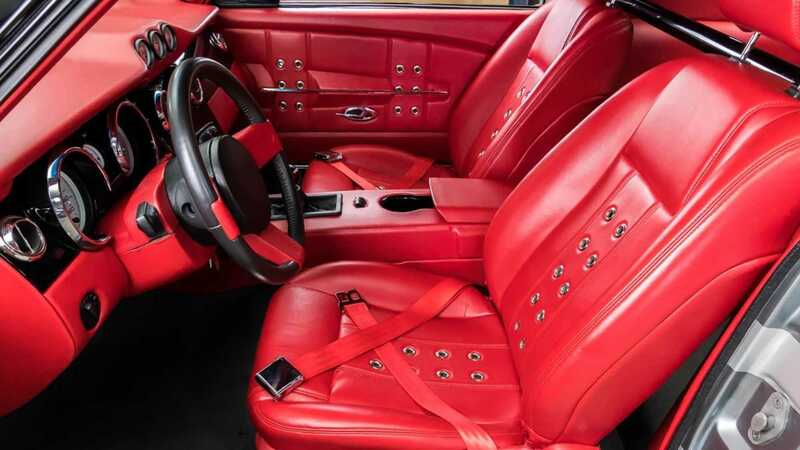 Inside, this Mustang Fastback Restomod features all of the luxurious amenities one expects from a modern vehicle like a state of the art stereo system, navigation, air conditioning, and heating. It looks like the dashboard and the steering wheel were taken from a mid-2000s Mustang and the entire cabin is covered in bright red leather. 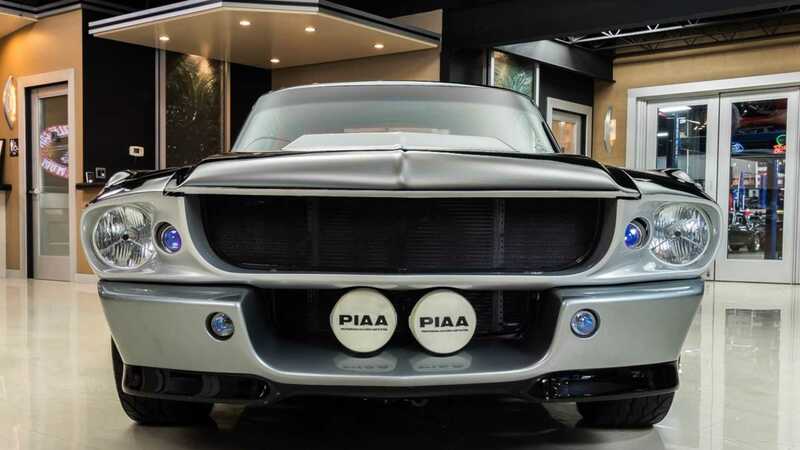 In order to stand out from the crowd in a car show, this Mustang features a jaw-dropping paint job and all the modifications done to the body are of the highest quality in standard and detail. 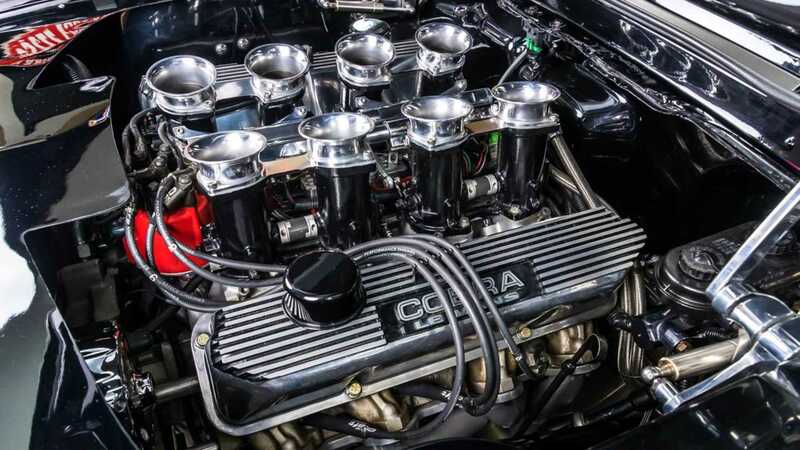 The listing states that over 1000 man hours were invested in just paint and bodywork for the car. 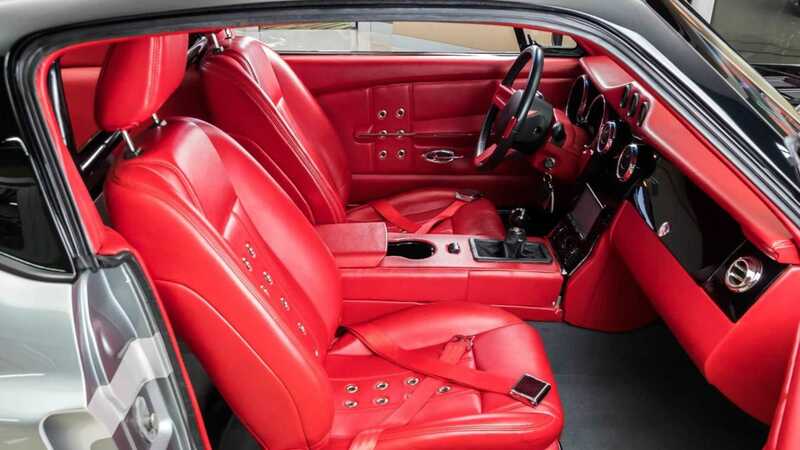 The listing also mentions that this restoration/modification process took five years to complete and cost well over $250K. 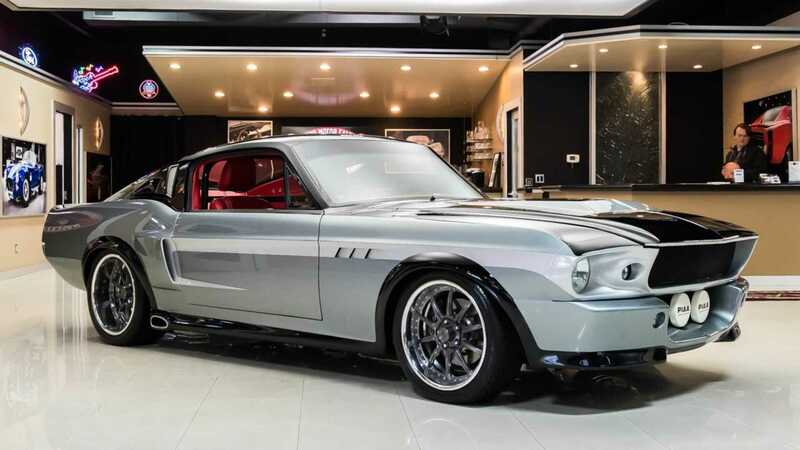 So, if you are currently looking for s Mustang that not only turns people's heads, make them drool uncontrollably, and burn some serious rubber, then check out this 1967 Ford Mustang Fastback Restomod for sale at Vanguard Motor Sales for $179,900.